For a customer in Belgium, BV Beco manufactured another hydraulic clamshell bucket for the handling of sand with a capacity of 2600 litres, light execution, an own weight of 2,3 tons with hydraulic rotor. The clamshell bucket has also been provided with a central distribution block on which all the grease points of the clamshell bucket come together. The entire clamshell bucket can be lubricated by means of one lubrication point. 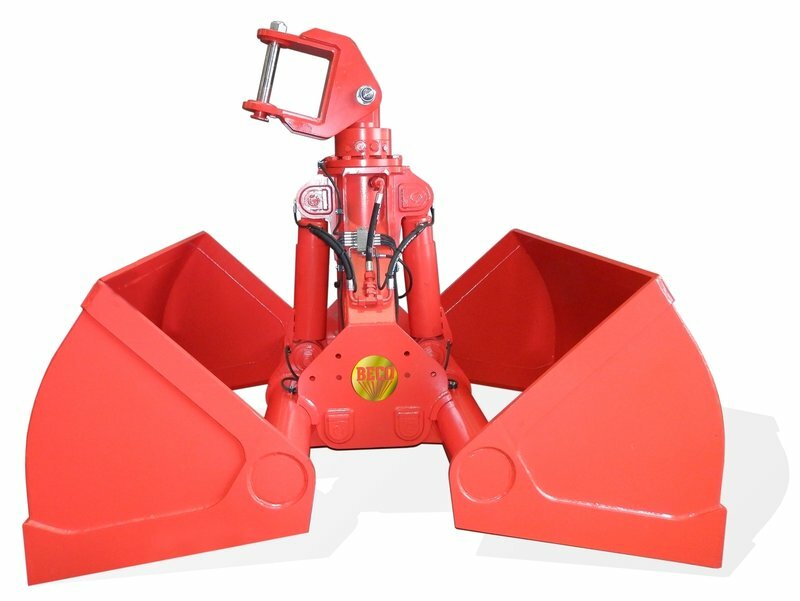 The clamshell bucket has also been equipped with a connection piece in order to suspend the clamshell bucket on to the crane. It has been made of high tensile steel 690, wear resistant material, hardness HB400 and S355. Customized grab solutions with a good price-quality ratio.